Incredibly meticulous directions. Rose Levy Beranbaum is a master at perfecting recipes to the finest detail. This makes wonderfully light ciabatta, with a slight chew and great holes. The instructions are quite easy to follow. When I need two loaves, I makes two consecutive batches, mixing them one after the other, rather than trying to double the amount of dough (this would be less of an issue in a larger mixer). I have had good results with all kinds of Australian plain flour, but Wheatfields seems to give the best results, and the bread spreads a little less. Leftovers make excellent croutons, and the oval cloud buns make excellent steak sandwich/burger rolls. This is a very tart bread. I left out the sugar because I have tried other of her recipes that are too sweet. But my husband loved the tang of the bread with jelly. I will try adding just a 1/4 teaspoon of sugar. Absolute favorite of all the breads I've ever made. 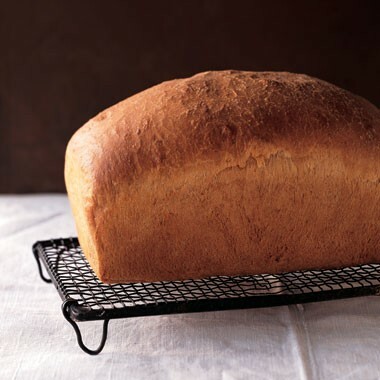 Delicious same-day bread with a nutty flavour and chewy crumb. Wonderful freshly baked or toasted. It took 3 days and 7 pages of instructions to produce 2 beautiful loaves of sourdough with a thin crispy crust and shiny, chewy crumb. Unfortunately, the whole wheat flavour overwhelmed the flavour of all of the seeds and I was quite disappointed with it. The recipe deserves 5 stars since it guided this amateur baker with limited sourdough experience in making bread that looked and tasted like it came from an artisanal bakery, but I won't make it again. Edit: Just toasted the last slice of the first loaf - now that was delicious with the flavours of the seeds coming through. It would have been much better if I had a basic understanding of bread baking instead of a craving for sourdough. I became hopelessly confused with the directions, got impatient when my dough was not quite as high as she said it should be, and baked anyway, with the result of a tiny, 8 lb brick of dough with a nearly raw interior and thick and hard exterior. Note to self, a book will not make me an expert. Wow, this is really good. I made it for my kids' lunchbox and everyone in my family loved it. It is packed full of carrots (3.5 cups in one loaf!) and raisins. The only spice is cinnamon and I wondered if it would be plain but it is dense and moist and spicy. This is going to go into frequent rotation! Once you have all the carrots grated, this recipe is quick and easy to mix. White whole wheat flour worked great. We enjoyed it for breakfast and snack. It went very quickly! This is the second time I made this loaf this week and it is glorious! It is huge and round and has a perfect crumb and wonderful taste. I am so pleased with it! Followed the instructions in every detail, except that I used my grill as the steam oven, resulting in perfect micro blisters. Great depth of flavor from a super simple same day loaf. Beranbaum really covers how to make sourdough. If you're an amateur baker looking to school yourself on sourdough, this book is for you. 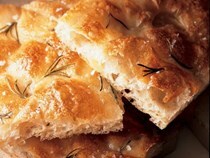 Includes baguette-shaped bookmark with Rose's 10 Essential Steps of Making Bread on it with each purchase. While supplies last. 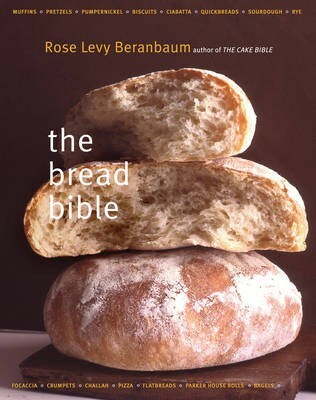 The new baking masterwork from the author of The Cake Bible and The Pie and Pastry Bible. Understanding and Pointers for Success sections explain in simple, readable language the importance of various techniques and ingredients demonstrated in a recipe, providing a complete education in the art of baking, with thorough sections on types of flour, equipment, and other essentials. Easy-to-use ingredient tables provide both volume and weight, for surefire recipes that work perfectly every time.